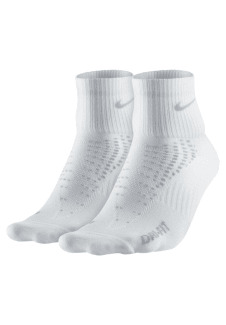 Irritation-free comfort Designed with two layers of friction-free fabric in the forefoot, the Nike Elite Anti-Blister Quarter Running Socks (1 Pair) offer ultimate comfort over any distance. Sweat-wicking fabric and mesh panels combine for a zero-distraction fit and excellent ventilation on the track, trail and hardtop. 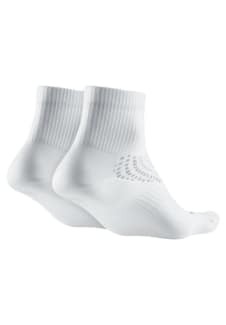 Fabric: Dri-FIT 58% polyester/38% nylon/4% elastaneMachine wash.